Having a roof over your head is not all that homeless people need. Research shows unhealthy levels of anxiety and depression - two of the most damaging mental disorders - can persist even after people secure accommodation. That's the finding of a study conducted by University of New England (UNE) and Bond University researchers in co-operation with New England social housing provider Homes North - a finding they hope will inform future national housing policy. The last census revealed that 100,000 Australians sleep rough every night. 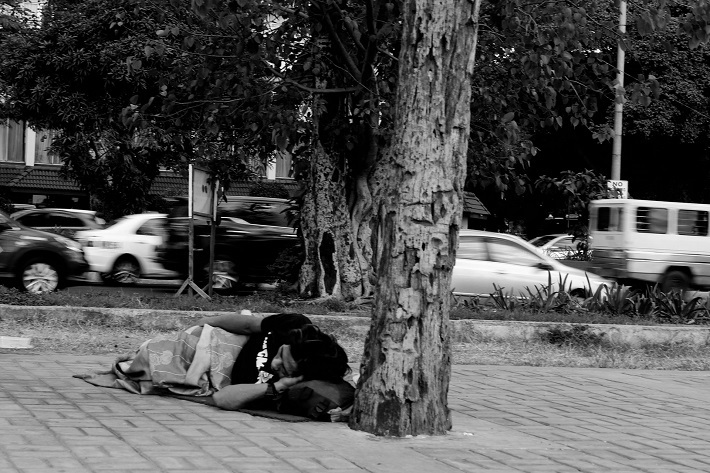 And with homeless people typically experiencing anxiety and depression levels 4-5 times that of the broader Australian population, report co-author Professor Chris Sharpley, of UNE's Brain-Behaviour Research Group, said this leaves many at increased risk of physical disease, relationship problems and cognitive difficulties. Understanding how people transition to housing will help to improve their future prospects. "We found that the anxiety surrounding their work, getting along with other people, and taking care of their home life is reduced by 20% when a homeless person finds a home, so there is a significant mental health benefit," he said. "But the damaging effects of major life stressors remain powerful and these don't just magically disappear when people have a roof over their heads." The researchers discovered that a substantial number of the people surveyed still reported levels of anxiety and depression that are indicative of poor mental or physical health. Participants reported that their sense of optimism and having a purpose in life were valuable ‘buffers’ against anxiety and depression. "We cannot remove the stressors entirely, but people transitioning into housing clearly need some additional mental health support to deal with the kinds of stress they continue to experience," Professor Sharpley said. "This is the basis of good preventative health and may improve the success of their transition from being homeless to being housed. It may be that some training in developing an optimistic outlook, plus setting personal goals and learning strategies to achieve those goals, are vital for the long-term mental health of this vulnerable population." Professor Sharpley said although the study represented the experiences of a population of rural homeless people, he expected that community housing providers, government bodies and peak homeless advocacy groups throughout Australia will be interested in their findings. The study was released in Armidale on 25 October.